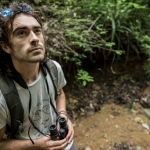 Luke Massey, nature expert and wildlife photographer, discovers nature’s beauty and the magnificent relationship between land and water of Iguassu National Park, a UNESCO World Heritage site. In partnership with Belmond we’re creating a series of dawn walks and nature experiences – FIRST LIGHT. Iguassu Falls is the largest waterfall system in the world, spanning 2.7 kilometres and boasting 275 or so waterfalls (the exact number depending on the season). Eleanor Roosevelt, the late US first lady, was so impressed when she first saw them that she is reported to have said “Poor Niagara,” which isn’t surprising given that Iguassu Falls is nearly twice as tall as the Niagara Falls. It is hard to put into words how overwhelming the sight of this striking natural beauty is. It is hard to put into words how overwhelming the sight of this striking natural beauty is. Located at the heart of the Iguassu National Park, which makes up part of the Atlantic Forest, the area is one of the few remaining inland rainforests in South America and constitutes a significant remnant of one of the most threatened global conservation priorities. We were tasked with making a piece that truly reflected nature’s beauty and the magnificent relationship between land and water of this UNESCO World Heritage site at dawn. The beauty of staying at Belmond Hotel das Cataratas is that you have access to the park before anyone else. We were there even before the coati’s had made it out of their nests, and shooting them so intimately as they snuggled and yawned, not quite ready to address the morning, was a real treat. Of course that all changed when they had managed to drag themselves out of bed, and they boldly rummaged through our camera bags in search of food! We headed down to film the tallest of Iguassu’s waterfalls, named the Devil’s Throat, which drops more than 80 meters into a milky abyss that creates a permanent cloud of mist. And we watched as Great Dusky Swifts cut through the ivory curtain to land and rest on the basalt rock that forms the backdrop to the falling water. We meandered through the lush, subtropical forest that borders the falls in search of whatever we might find and were constantly stopping to film Red Throated Piping Guans, Green-Headed Tanagers and Surucua Trogans as they flitted about the canopy. Capybara grazed on the islands that dotted the top of the falls, Great White Egrets searched the waters edges, and colourful Toucans preened in the treetops, while Vultures dried their wings before catching a thermal and soaring away. Back at the hotel the wildlife only continued. Southern Lapwings marched across the front lawn and Chestnut Eared Aracari’s knocked on guests windows, whilst Red-rumped Caciques bickered over their pendulous nests. Grey Breasted Martins, Scaly Headed Parrots and Plush Crested Jays perched upon the rooftops and trees. A Rufous Hornero tended to its intricately constructed nest, and hummingbirds busily buzzed around, drinking nectar from Brazil’s national flower, the Ipe. The park is a haven for about 400 bird species, 80 types of mammals, more than 2,000 plant species and countless insects and invertebrate species, giving us endless subjects to film. There is something special about experiencing the symphony of nature’s majestic falls at First Light.